Welcome to the eighth edition of Teacher Tuesday, where I match one of my books to a year level, and offer some activities for sharing the book in the classroom. In previous weeks I shared activities for Pearl Verses the World, Looking Up, Toppling, Roses are Blue, Do Not Forget Australia, Snowy’s Christmas and The Floatingest Frog. 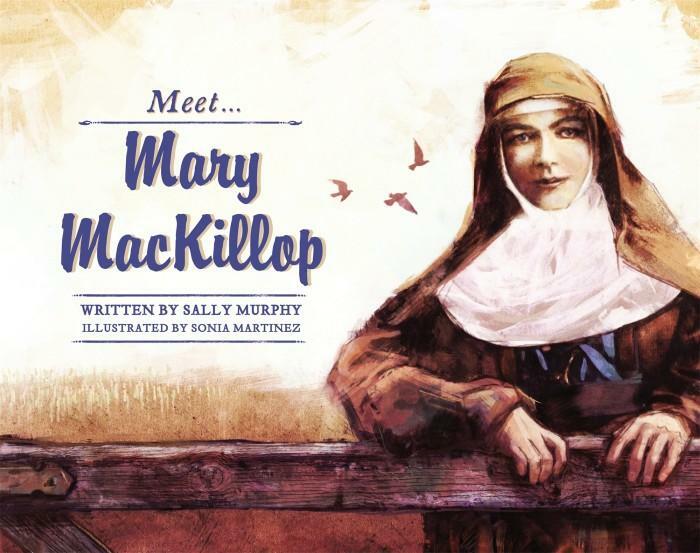 This week, I am focusing on my picture book, Meet Mary MacKillop which can be used to meet objectives in both both the History and English curriculum areas. Blurb: Mary MacKillop, Australia’s first saint, was born in the 1800s and devoted her life to teaching children. Mary believed everyone should have the chance to learn, no matter how rich or poor they are. In 1866 she set up her first school and founded an order of nuns called the Sisters of St Joseph of the Sacred Heart. This book tells the story of that first school. 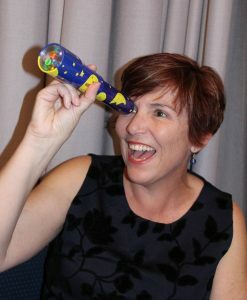 Sally’s Recommended Grade Levels: Year 1 – Lower Secondary, but these suggestions focus on Year 4. This unit of work uses Meet Mary as the basis for examining both the life of Mary MacKillop, and examining the roles and significance of other famous Australians. Before reading: discuss the word ‘famous’. Ask students what it might mean to be famous. Brainstorm a list of famous Australians. Show students the book cover. Ask students who Mary MacKillop was and/or what the cover suggests about her. Read the Story (apart from timeline). After Reading: group work. Groups to complete table identifying words and images which show this book is set in the 1800s. Subheadings: Words/Language Used; Transport; Dress; School Equipment; Other. One column to identify what is portrayed in the book, and a second column to identify how these things might be today. Examine back of book timeline. In groups, students to identify which events are included in the story. Discuss: Why did Sally Murphy choose only part of Mary MacKillop’s life for the story? Can you understand Mary’s life without the addition of the timeline? Students to choose another famous Australian – either from earlier list or from a list fo teacher suggestions, of a particular time period. Using library/class resource collections and/or internet research, students to research their chosen person and compile their own timeline. Additionally, have them answer the following: Why is this person famous? Where were they born? Which part of Australia did they live in? What was their main achievement? How are they commemorated today (eg are they on a banknote, have buildings or roads named after them, memorialised in stories/songs etc). Why did you choose this person? Students to compile a visual presentation about their chosen Australian: either digitally or as a poster presentation. Read other books in the ‘Meet’ series. If enough available, this could be done in groups, with each group examining a different book in the series. Identify key events in each person’s story, and also explore similarities and differences between the different books (each book has a timeline, for example, but the writing and illustrations styles vary. Some of the books cover a single episode in the person’s life, while others cover more of the person’s lives). Encourage students to elaborate which hones they like, and why. Identify common features in adapting biographies to fiction (the term here is historical fiction): creating characters, use of dialogue, key details, use of details to set scene (time and place). Students to use information from their timelines/presentations to craft a narrative telling their chosen person’s story – either one episode, or an overview of their life. This could be extended to create a picture book version. Mary wrote many letters to her mother and to other people throughout her life. Examine the elements of a letter, and draft and write a letter. the theme of letters is also part of my book Looking Up. The work of Mary MacKillop continues through the sisters of St Joseph. There are various museums and centres across Australia and new Zealand which are open for school groups for different excursions. Art: read the interview with the illustrator, Sonia Martinez in the official teaching notes. Create collage art using historical pictures, combined with the students own drawings. Email the author(that’s me!) Your students can write to me through this website, and share their responses or ask questions. Mostly, I’d love to remind you that while I love to see my books used in classrooms, I also love to see kids just enjoying them. Reading a book should be pleasurable – whether it’s being used in the classroom or not. So allow your students to enjoy reading Meet Mary MacKillop. Welcome to the seventh edition of Teacher Tuesday, where I match one of my books to a year level, and offer some activities for sharing the book in the classroom. In previous weeks I shared activities for Pearl Verses the World, Looking Up, Toppling, Do Not Forget Australia, Snowy’s Christmas and The Floatingest Frog. This week, continuing my focus on verse novels, I am focusing on my third verse novel, Roses are Blue. Blurb: “I have not got used to my new mum, even though I love her (I absolutely love her), but I miss my happy, painting, dancing, gardening, smiling mum.” Amber Rose and her family are dealing with tragedy and change. Her mum is different, her home is different and she has even had to start at a new school. Amidst all that change, Amber finds it is still possible to find hope. Sally’s Recommended Grade Levels: Year 2 – Adult, but these suggestions focus on Year 4. Discuss literary experiences with others, sharing responses and expressing a point of view (ACELT1603). Before reading: set up individual journals OR a special section is students’ writing journals. Ask students to write about their favourite book, or at least a book they have read recently. Why did they like it? Class discussion: what makes a good book. Create a chart with children’s responses and display in room, to be added to during this unit of work, and revisited. During reading: after reading each section, have students write about their responses to the story so far. Although you could provide questions for guidance, if possible allow students to write about any aspect of the story that appeals to them. After each writing session, allow time for group/class discussion, encouraging links to students’ own experiences. After this discussion, again give time for students to write about their response to the book in their journals. Discuss how authors and illustrators make stories exciting, moving and absorbing and hold readers’ interest by using various techniques, for example character development and plot tension (ACELT 1605). Use metalanguage to describe the effects of ideas, text structures and language features of literary texts (ACELT 1604). Stop after reading pages 7-9 (opening pages) and have students predict what might make Amber’s mum so different. Then read p. 10. Discuss students’ reactions to the revelation, and have them write about their responses in their journal (see above). After reading, discuss why the novel might have started this way – with Mum’s condition not revealed until the fourth page, and the reasons for it revealed gradually. Did this create interest? Did it highlight different aspects of Amber’s emotions? Reread pp 36-39. Give each group a copy of the pages and ask them to look for repetition. Which words are repeated? Which phrases? What is the effect? Read p. 47 and compare what we learn here about Mum with what we learnt on pp 36-39. Discuss: does this contradict what Amber has told us? Why do you think Amber calls this a ‘confession’? Journal writing/discussion: Are mums (or dads) supposed to be perfect? Analyse the characters of Leroy Jamieson and Lola Jones. Groups to draw up a table listing what they learn from each one about the book. Report back and build a class list. Discuss: How are the two similar? How are they different? Do you think Sally Murphy deliberately gave them similar names? Why? Create literary texts that explore students’ own experiences and imagining (ACELT1607). Plan, draft and publish imaginative, informative and persuasive texts containing key information and supporting details for a widening range of audiences, demonstrating increasing control over text structures and language features(ACELY1694). Re-read and edit for meaning by adding, deleting or moving words or word groups to improve content and structure (ACELY1695). Use a range of software including wordprocessing programs to construct, edit and publish written text, and select, edit and place visual, print and audio elements (ACELY1697). Use the poem on page 10 as a mentor text for students to create their own poem about their own mum or another family member. It could even be themselves or a pet. As well as ‘different’, you could suggest other adjectives such as ‘special’, ‘wonderful’ , ‘silly’. Rewrite one of the scenes in the book from the point of view of one of the other characters: Mum, Leroy, Saffron, Dad, Aunty Fi, Lola etc. Encourage children to have a go at doing this as a free verse poem – again they could use the scene as a mentor text. If Mum could talk, what would she say? This might be a wonderful opportunity to work on speech and thought bubbles, with students drawing Mum and showing some of her thoughts. Any or all three of these creative exercises can be revised, edited and published for class display, or as class book, or in writing portfolios. Create invitations to a Mother’s Day tea, as Amber’s class do. Or to any other class event, real or imagined. The blue rose has been the aim of many plant breeders. Have students research whether blue roses exist, and report on this. And/or build a list of other blue flowers. Craft: create paper roses, using this tutorial, or any other. Mostly, I’d love to remind you that while I love to see my books used in classrooms, I also love to see kids just enjoying them. Reading a book should be pleasurable – whether it’s being used in the classroom or not. 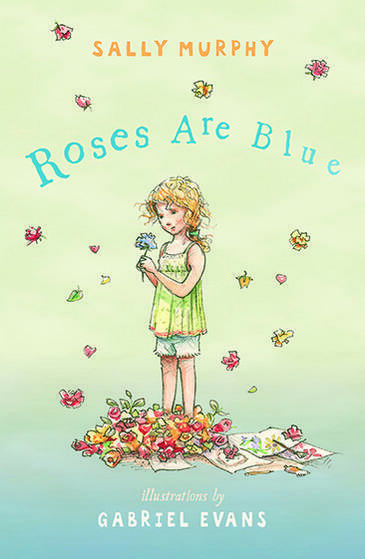 So allow your students to enjoy reading Roses are Blue. Welcome to the fifth edition of Teacher Tuesday, where I match one of my books to a year level, and offer some activities for sharing the book in the classroom. In previous weeks I shared activities for Looking Up, Do Not Forget Australia, Snowy’s Christmas and The Floatingest Frog. 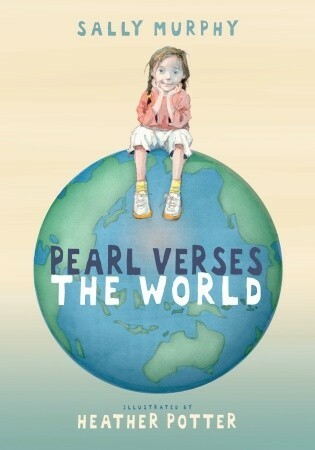 This week, per a request from a year 5 teacher, I am focusing on my verse novel, Pearl Verses the World. Blurb: At school, Pearl feels as though she is in a group of one. Her teacher wants her to write poems that rhyme but Pearl’s poems don’t. At home, however, Pearl feels safe and loved, but her grandmother is slowly fading, and so are Mum and Pearl. Sally’s Recommended Grade Levels: Year 2- Adult, but these suggestions focus on Year 5. More wonderful teaching ideas HERE. The following ideas can be used separately, choosing just those which fit your classroom needs. However, this unit offers an opportunity for regular journal writing activities. As such, setting up a special writing book (or section of an existing daily writing book) for each child before reading begins, and then using it throughout reading could add an extra dimension to a novel study. Journal writing. In the days/weeks before introducing the book, have students write on one or more of the following questions: What kinds of books do you like to read? Do you like reading poetry? What does it mean to be lonely? After each journal writing activity, provide opportunities for sharing in groups or in class discussion. Show students the cover of the book. Discuss reactions to the title, the front cover illustrations and the blurb. The blurb includes the word ‘poignant’. Discuss what this might mean. Journal writing: Make a prediction. What do you think Pearl Verses the World might be about? Read pages 7 to 11, finishing with “Which made her poor teacher go hurl.” Discuss what has happened so far. Why is Pearl lonely? How does she feel about poetry? Does poetry have to rhyme? The last five lines are a limerick. Discuss whether that part rhymes. Who is speaking/writing the limerick? Journal writing: Pearl is in a group of one. Do you belong to any groups at school? Do you think your own class has groups? Read pages 11 to 17. Recap events. Discuss the revelations about what is happening at home. Focus on what we now know about Pearl’s life. Encourage connections to children’s own lives re family structures, illness, loneliness, but also the happy stuff like spinning. Journal Writing: Which part of Pearl’s story so far do your feel reflects your own life? How does that make you feel? Pearl loves spinning. What is your favourite movement: running/jumping/skipping/standing still? Write about that movement and how it makes you feel. Read pages 18 to 26. Recap events. Discuss, again encouraging responses and connections to students’ lives and experiences. Explore Pearl’s relationship with Prudence Jones and with Mitchell Mason. Other areas to highlight in discussion include the swimming and library scenes. Discuss how Pearl feels about poetry. In groups or as a class discuss what makes a poem, building on earlier discussion. Journal writing: Do you like poetry/ Why/why not? What kinds of poetry? What makes a good book? Write about your favourite book. Read pages 27 to 35. These are some difficult pages so, before reading, have students ready their journals and writing materials. Tell them that, after you have read the pages you want them to write their responses in their journals FIRST and then discuss them after. After reading the pages, repeat the instruction. Give time to write about how they feel about what is happening to Granny, Pearl and Mum. After writing, group of class discussion about what has happened. Repeat this process for pages 37 -50, 51-64 and 65 to 73. Read pages 74 to 74. Discuss ending. Discuss: Is this a happy ending, or not? Could it have ended differently? How did students feel about the ending? Journal writing: Do stories need to have happy endings? Why/Why not. Write a new scene, either changing the ending, or showing a scene in Pearl’s life a month/year after the story ends. During reading introduce students to the terms ‘free verse’ and ‘verse novel’. After reading use groups to establish similarities and differences between verse novels and prose novels. In groups, students to decide which form they prefer and prepare a presentation to class explaining why. As a follow up, brainstorm arguments from both sides. (In my ideal world, class would arrive at the realisation that one form is not better than another, but offer different strengths). Discuss whether pearl verses the World might have been as effective written in prose. Journal writing: Rewrite a scene in prose. Write a book review of Pearl verses the World. Either during reading or after, examine the limerick on p. 11, and limericks from other sources. Us a worksheet like this one HERE to establish how limericks work. Focus on rhyme patterns, rhythm patterns and content before having students create limericks of their own. During or after reading revise or introduce devices including simile, metaphor, personification, onomatopoeia, repetition, tricolon. Use examples from the book, or have students identify them in the book. Experiment with ach form either in journals or on worksheets or display boards. If you have space on yoru pin up boards, have places where students can write examples of each device on strips of paper or stickynotes and build up a bank of examples. Pearl Verses the World can be used as a springboard to building empathy, and to understand differences between sympathy and empathy, outside of the literacy classroom. Pearl Verses the World is wonderful for reading aloud. Use an extract in the drama classroom for students to memorise and perform. Mostly, I’d love to remind you that while I love to see my books used in classrooms, I also love to see kids just enjoying them. Reading a book should be pleasurable – whether it’s being used in the classroom or not. So allow your students to enjoy reading Pearl Verses the World. Welcome to the third edition of Teacher Tuesday, where I match one of my books to a year level, and offer some activities for sharing the book in the classroom. In the first two weeks I shared activities for Looking Up and for Do Not Forget Australia. 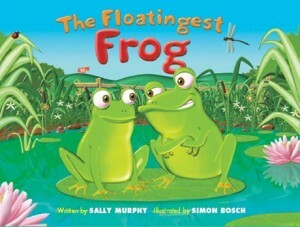 This week I’m focusing on my very first picture book: The Floatingest Frog. Available from good bookstores or here. Blurb: Ferdinand the Frog wants to outdo his brother Frankie in every possible way. He can jump the farthest, croak the loudest, and even has the longest name! Sibling rivalry soon reaches hilarious heights when Ferdinand pushes his luck too far. Based on an Aesop’s fable, The Floatingest Frog is a cautionary tale about being too full of hot air. Sally’s Recommended Grade Levels: Year K-5, but these suggestions focus on Year 4. During Re-Reading of the book, or using selected pages, ask students to identify how we know a character is speaking. Highlight opening and closing quotation marks, commas and attributions such as said/exclaimed/scoffed. Rewrite selected sentences of dialogue on whiteboard or smartboard, demonstrating the correct placement of punctuation. Create a worksheet with sentences from the text containing dialogue, with punctuation removed. Have students punctuate appropriately. Writing: Write a conversation between Frankie and Ferdinand which does not happen in the book. OR write conversation where Frankie goes to introduce himself to the cow. 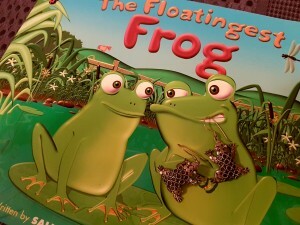 After Reading: Explain that The Floatingest Frog is based on an Aesop’s Fable, The Frog and the Ox. Discuss the elements of a fable – a story designed to teach a moral or message, after using animal characters and explicitly stating the moral. Questions: Did any student identify the story as a fable on the first reading? How? Does The Floatingest Frog contain the elements of a fable? In groups/pairs construct a table exploring how the picture book is similar/different to The Frog and the Ox. Suggested headings: length, language, characters, dialogue, statement of moral. Discuss: Why might an author use a fable to create a picture book? Which version did students prefer? Why did Sally use two frogs, rather than just one? Why did she change the ox into a cow? Examine the book closely – using a story map or other process – to identify how the text attempts to make the original fable more engaging using dialogue, characterisation and action. Examine the illustrations closely to see how the illustrations add to the written words. Questions: How has the author used dialogue tags/word choice/repetition/pacing to build an exciting story? Are their things which happen in the illustrations which do not happen in the words? What effect does this have? Why does the word ‘cow’ not appear in the text? How do we know it IS a cow? Writing: Retell a different Aesop’s Fable as a narrative. Plan, draft and publish imaginative, informative and persuasive texts containing key information and supporting details for a widening range of audiences, demonstrating increasing control over text structures and language features. After Reading: Building on work on dialogue and on fables, have students write their own original animal story OR rewritten fable. Work through stages of planning, drafting, editing and publishing this narrative. The study of The Floatingest Frog can coincide with studies of the life cycle of the frogs. You can find Frog Printables here or at numerous other websites – or make your own. Compare the language of the nonfiction book with the fiction book, integrating science and literacy activities into the one unit of work. Art/Technology: The art in The Floatingest Frog is created digitally. Experiment with drawing on whichever computer programs are available in your classroom. Art: There are many ideas for frog craft, including frog origami. This Pinterest page has links to many easy, clever activities. Mostly, I’d love to remind you that while I love to see my books used in classrooms, I also love to see kids just enjoying them. Reading a book should be pleasurable – whether it’s being used in the classroom or not. 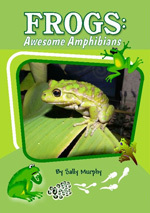 So allow your students to enjoy reading The Floatingest Frog. Available from good bookstores or here. Also available as an ebook. 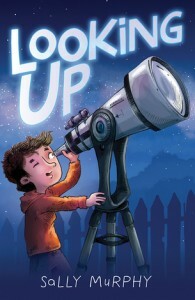 Blurb: Pete is hoping – desperately hoping – for a telescope. There’s nothing he wants more for his birthday. But when a mysterious card arrives in the mall, what Pete wants is turned upside down. In groups, identify the verbs used in this chapter. Use different colours to identify each of doing, thinking, saying and relating. As class brainstorm to build a word bank of verbs – for example ‘Listening”’ (p. ) could lead to ‘hearing’. In groups, or individually, have students change selected verbs to past tense and/or future tense. Writing: Rewrite a scene in present tense. How did the language change? Which did students prefer? Rewrite the same scene as a news report. How did the language change? Was it more formal? Did it require additional information? Were some parts of the scene left out? Compare the language and sentence structure of the original scene with that of a news report. Look at differences in sentence complexity, language choice etc. How many grandparents do you have? Do any of them live far away? Do you have grandparents you have never met? What is your favourite memory with a grandparent? What’s the favourite birthday/Christmas/other present you have received? What kind of letters does the postman/postwoman deliver? 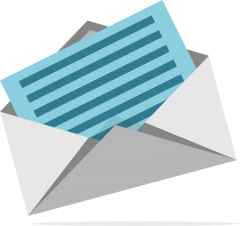 Have you ever received a letter addressed to you? p. 14 After he removes the card, but before we find out who it is from, have students’ make predictions. Discuss: Why might Pete not know he has a grandfather? p. 58 Stop at the arrow. Make predictions. Will Pete get the telescope? Why/why not. How do students feel about Pete not getting the telescope – and his reaction? Have they ever not got something that they really wanted? Write a recount of a visit to a grandparent, or a favourite birthday memory. Write a wishlist of things students would like to receive for their next birthday/Christmas. Then use the internet or catalogues to work out how much their list might cost. During Reading: After each reading session, discuss students’ reactions to the text. Are they enjoying it? DO they think that what happened is interesting/scary/boring? Are they keen to know what will happen next? How do they feel about Pete? Mum? Grandad? After Reading: Discuss students’ reactions to the ending. In writing books, write about their responses to the book and how these differ from their feelings before. After Chapters 4, 6 and 8, discuss Pete’s reactions to these events, and how Mum would be feeling. Draw a picture of Mum (or teacher can provide) with thought bubbles for what Mum might be thinking but not saying. After Chapter 5, discuss how it might be for Grandad to meet Pete for the first time. What is he thinking and feeling? Writing: Rewrite one of these scenes from the point of view of the other character. Make origami stars – instructions here. Make a Constellation Projector like this one here. Mostly, I’d love to remind you that while I love to see my books used in classrooms, I also love to see kids just enjoying them. Reading a book should be pleasurable – whether it’s being used in the classroom or not. So have fun with Looking Up! I’d love to know if you found these notes useful, or if you have any other suggestions, or if there’s a different book you’d love to see featured in this way. Leave a comment!